The Giles Team is a husband and wife team of licensed real estate brokers who are also members of the National Association of Realtors®, subscribing to a strict code of ethics and maintaining a higher level of knowledge of the process of buying and selling real estate. Real estate brokers with legal and financial expertise. McLean is a financial expert and assists clients in navigating the financial aspects of their real estate transactions whether it involves complex lending arrangements or a cash deal. He is also a Certified Military Residential Specialist and Certified Negotiation Expert. Ginger is a licensed attorney and has substantial experience in real estate transactions, contract negotiation and drafting, and litigation (or more importantly… avoiding litigation!). She is able to bring buyers and sellers together while helping make certain that her clients know exactly what they are getting and are getting exactly what they want. Clients gain double the access, attention, and expertise with the Giles Team, without paying double the commissions. With the real estate, finance, and legal expertise of the Giles Team, clients have additional resources at their fingertips. Additionally, working with the Giles Team ensures clients they will always have access to their broker, and their transaction will not take a back seat to other clients or other deals. McLean and Ginger give each transaction the attention it deserves. Clients essentially get two for the price of one! The Giles Team lives and works in the Castle Rock/South Denver Metro area. McLean and Ginger are residents of Douglas County, living in beautiful Castle Rock. They enjoy golfing at the numerous award-winning courses in the area, as well as the many other outdoor sports Colorado has to offer: skiing and snowboarding, snowshoeing, water skiing and wake boarding, hiking, biking… you name it. 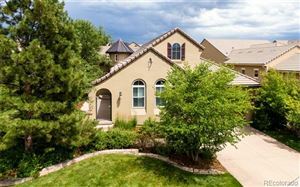 They understand why so many want to call Castle Pines and Castle Rock home, and can provide a wealth of information on all these areas have to offer.